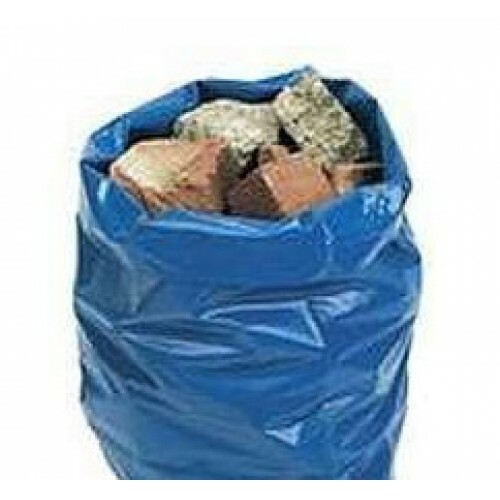 Here is our very strong rubble sack, with a very strong gauge of 300. Ideal for waste such as debris, metals and other sharp objects. The liners come in blue as standard. Different coloured bin liners can help to identify different types of waste and are ideal for segregating them into different waste streams making the overall recycling process much easier. Manufactured in the UK, so as to reduce lead times and keep a consistent quantity of stock. Most of the bin liners that we sell have a gauge measurement which is measured by the thickness of the bin liner. All of our strength measurements have been tested and meet the European standards. Next day delivery is available at an extra cost. Please note if you require next day delivery, you must place your order before 1pm.